Objective: When I start to lose control of myself, I can say a memory verse. Jesus was very hungry. Why was He so hungry? Satan wanted Jesus to do something wrong. What did Jesus tell Satan? Did you know that Jesus was tempted to do wrong? 6 Make a loop and then a hoop! Six! 9 Make a hoop and then a line. Information: Write first and last name on a blank sheet of paper. - Self-control is one of the hardest traits for young children to develop. To change poor behavior, the child must be equipped with a better choice. Help the child come up with an acceptable solution to screaming, throwing a fit, and pouting. If you have not chosen a verse, use this week's memory verse as a verse your child can say to help her get into control. Then work with the child to incorporate this positive behavior into his life. - Play a game or do an activity that may be a little challenging for the child. Help your child maintain self-control through the frustration. - Stamp the Jesus is Tempted worksheet with a rectangular stamp or sponge to cover the worksheet with "Bibles." Discuss how Jesus used Bible verses to answer Satan's temptations. Read The Little Red Caboose and talk about the order of events. Use the Book Summary worksheet to draw pictures to represent the beginning, middle, and end of the story. The DLTK website has some wonderful story sequencing printables to use with other popular children's books. Weeks 27 - 28 focus on the leftover characters that don't really fit anywhere. Start by creating the characters using play dough snakes or pipe cleaners and move to writing the characters on the Characters worksheet to show the similarities between the "6" and "9." For the past two weeks, your child has been writing his first and last name using a capital letter on the first letter only. If the child is ready, try giving him a blank sheet of paper to write his name. This will prepare your child for writing his name on a card, craft, or other objects that do not have writing lines. Cut, color, and finish the My Yellow Book. Help your child read the lines. Use pretzel sticks or toothpicks to hook the large marshmallow "cars" together. Use peanut butter or frosting to glue cheerios or M&M's on as wheels and other features. 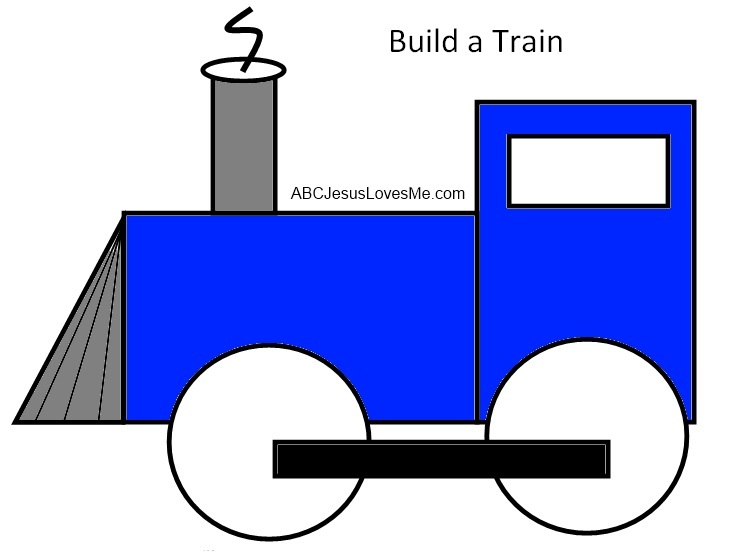 - Have the child color and cut out the shapes of the Build the Train worksheet. Instruct the child to build a train using the shapes. Play basketball with rolled up socks or a soft ball and a box or laundry basket. This week focus on the Tracking Visual Perception Worksheets which help the child begin the process of looking from left to right and top to bottom. Encourage the child to search for the given item as if they would read a book. A child may need to point to each letter/character with his/her finger. Additional worksheets available in the ABCJLM Visual Perception Workbook.